by JoAnna Carl | Mystery & Thrillers | This book has not been rated. "Looking for a fresh start, divorcée Lee McKinney moves back to Michigan to work for her aunt's chocolate business-and finds that her new job offers plenty of murderous treats to chew on. 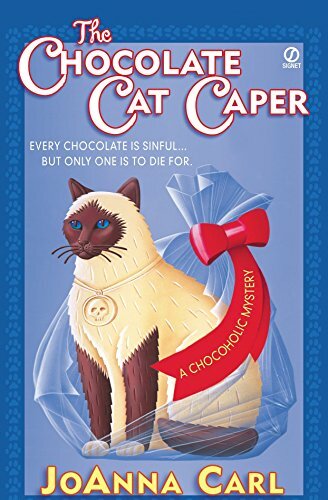 When a high-profile defense lawyer dies after eating a cat-shaped chocolate laced with cyanide, it's up to Lee to find out who tampered with the recipe-before she and her aunt end up behind not-so-chocolate bars."